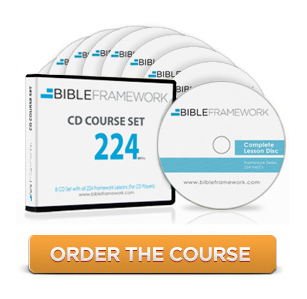 The course sequence covers each major component of God’s historic “show-and-tell” program recorded in the Bible from Genesis to Revelation. You will discover—perhaps for the first time—the powerful implications of this revelation for every area of your life. To grow beyond all-too-common unbiblical views of the Bible. One popular view is that the Bible is fine for the inner spiritual life but must not be taken seriously in historical, scientific, or political matters. Another view sees the Bible as a hodgepodge of unrelated literary fragments. This course collides sharply with all such views. Christians who want to “connect the dots” in God’s historic work and His information-conveying conversation with us through His Word. Those who want to face the great challenges of life armed with the Truth and a biblical perspective. Those who think it possible that God’s program is coherent, that He clearly communicates it to us and that we were created to think His thoughts after Him.